It was an honor to be part of such a special event, and as you know, all who came to my studio were entitled to our gift of a Complimentary Makeover and Photo Shoot, valued at $190. I underestimated the response and ran out of the Vouchers to hand out, but promised to deliver one to everyone who did not receive one that night. You are beautiful, and you deserve to have amazing portraits that express your beauty, both inside and out. Celebrate you and who you are- whether it's a milestone, a birthday, a holiday, a life change, or just because. A portrait is forever, and it's for you and all who love you. There is no better time than now. In addition to your Complimentary Makeover and Photo Shoot, if you book your session before November 30, you will receive $100 credit towards your prints. I can't wait to talk with you about your upcoming Portrait Session. During your consultation, we will talk about how you would like to be photographed, what to expect for and from your portrait and reveal sessions, and answer any questions you have regarding collections and pricing. Click below to choose the best time and we can connect on an easy call. P.S. 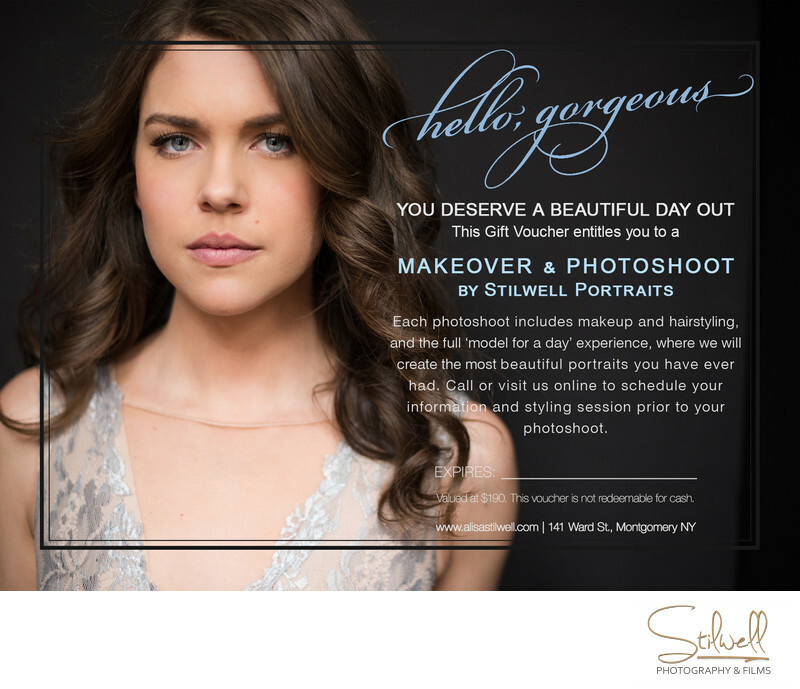 Let's talk soon though, your Complimentary Gift Voucher for your Makeover and Photo Shoot expires on November 30.